Governor Gretchen Whitmer has declared April to be Safe Digging Month. 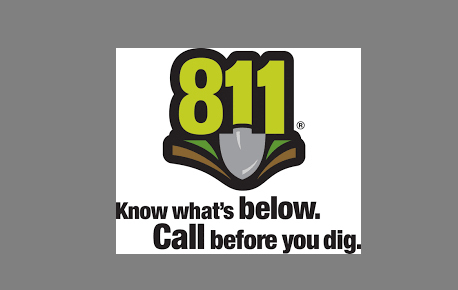 As the weather gets warmer, we are reminding anyone who has a digging project scheduled to call MISS DIG at 8-1-1 before putting tools in the ground. It is best to err on the side of safety and call. MISS DIG 811 provides this free service to homeowners, excavators, municipalities and utility companies via their web-based locate requests- elocate.missdig.org and rte.missdig.org, or by placing a toll-free call to 811 or 800-482-7171. MISS DIG 811 processes the locate request by contacting over 1,700 members, who then come out and locate their facilities. The mission of MISS DIG System, Inc. is to safeguard the public, environment, property, and utility infrastructures and to promote utility damage prevention through a quality, cost-effective process for customers. The biggest increase in residential damages last year, according to Consumers Energy, came from fencing installation, with landscaping projects also being high on the list. After calling MISS DIG, a representative will be out within three working days to mark all lines. If the homeowner is home at the time, representatives will be able to answer any questions. If a project is scheduled to come within 4 feet of a line, Consumers Energy recommends digging carefully with hand tools or moving the project further away.